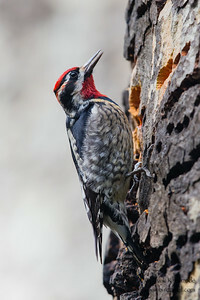 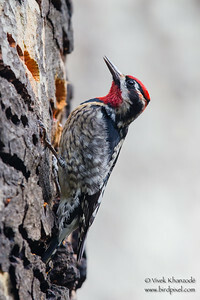 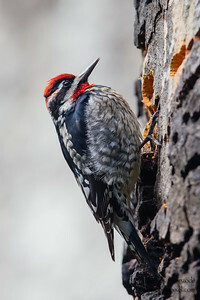 The Red-naped Sapsucker (Sphyrapicus nuchalis) is a medium-sized North American woodpecker. 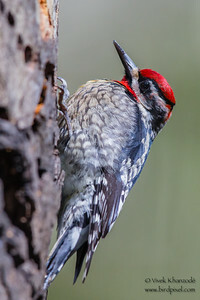 Long thought to be a subspecies of the Yellow-bellied Sapsucker, it is now known to be a distinct species. 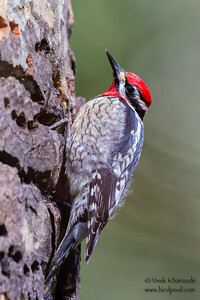 Red-naped Sapsucker photographed at Henry Cowell State Park, Felton, CA, USA. 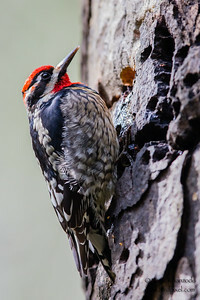 This photo shows the sap on the bill of the bird. 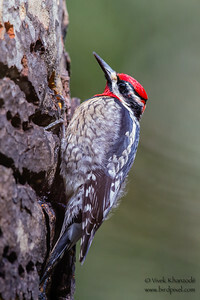 Red-naped Sapsucker photographed at Henry Cowell State Park, Felton, CA, USA. 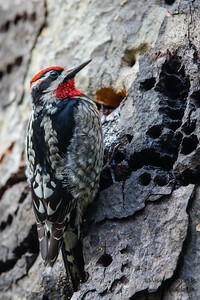 This photo shows the oozing sap as well as the holes drilled by the bird.